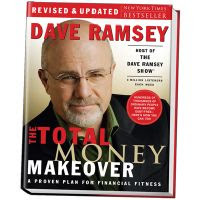 Dave Ramsey is such an inspiration to me! I really love his books, and wanted to let everyone know that from now through TODAY, 9-18, Dave is giving away (1) One $999 Emergency Fund! You only have UNTIL 11:59AM TODAY to enter, so run over there quick and enter!!! What I wouldn't GIVE to win this. That would be so awesome!! I keep forget about the Dave Ramsey give away. Thanks for the tips for the senior year. I have a sophmore and junior now. Thanks for stopping by my blog! I love your subject matter on your blog! Awesome! I will definitely have to register to win Dave Ramsey's contest. Good stuff!